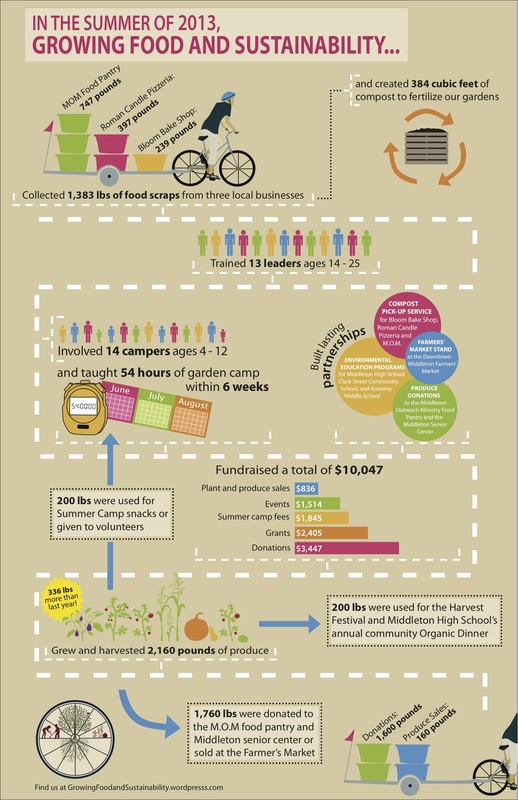 This entry was posted in Local Initiatives, Local Programs, Summer of Solutions and tagged 2013, Compost, infographic, interns, Middleton, partnerships, produce, summer camp, Sustainability by growingfoodandsustainability. Bookmark the permalink. We are showing this at DC Gathering and it is super beautiful!